horror movies with scary dolls - Horror.com Forums - Talk about horror. hi can u suggest me horror movies with scary dolls..
First thing to come to mind is the Puppet Master series. They're not all winners as far as story, but the dolls (despite the title they're more dolls than puppets) are creative and skillfully done. Also Annabelle, but you said scary so forget that one. I guess the Poltergeist and the remake. Last edited by Sculpt; 12-29-2016 at 05:21 PM. Last edited by DeadbeatAtDawn; 12-31-2016 at 03:38 PM. Avoid at all costs, for many, many, many, reasons. The director of this movie (Andrew Jones) is churning out one bad movie after another. I can honestly say that this effort has no redeeming features! Sorry it's not a positive contribution to the topic, it's just that I would hate you to be attracted to this simply because of the cover art. It's the children! They've found a new friend! Last edited by Tommy Jarvis; 07-04-2017 at 01:32 PM. 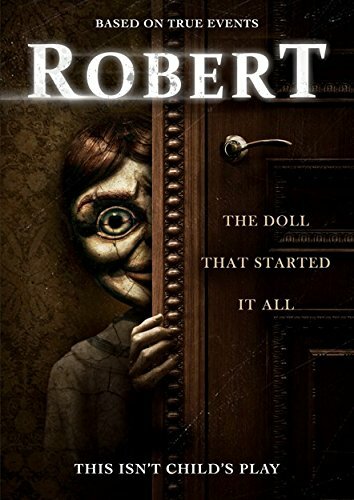 For my penny`s worth they are no scary movies with dolls in them.Sorry but its the truth.A few i have enjoyed i agree,scary,absolutely not.